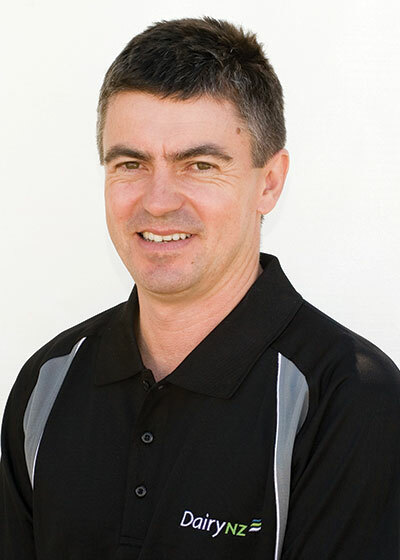 DairyNZ’s Paul Bird outlines how dairy farmers can better prepare themselves to cope with volatility caused by milk prices, climate, interest rates, debt levels and other ups and downs. It’s currently costing the average dairy farmer approximately $4.75 to produce one kilogram of milksolids (kg MS) before interest, drawings and capital investment. This means many farming businesses would have little room to move, apart from increasing their borrowings, if milk prices drop or there’s a drought or poor spring. Focusing on a ‘stretch target’ for your operating expenses will help you avoid this situation. Let’s use $4.11/kg MS as an operating expenses stretch target. If revenue is approximately $6.40 (milk $6/kg MS plus stock revenue $0.40), then targeting operating expenses at $4.11 will generate an operating profit of $2.00/kg MS or more. That’s an extra $130,000 profit for the average-sized farm, which can be used for debt reduction, other investments and drawings. DairyNZs budget case study farmers (check out dairynz.co.nz/budget-case-studies) are also producing milk at a similar cost structure to the sector’s top 10 percent. This cost structure is a key success factor creating a resilient business. One of the biggest factors related to low operating expenses/kg MS is ‘pasture eaten’. 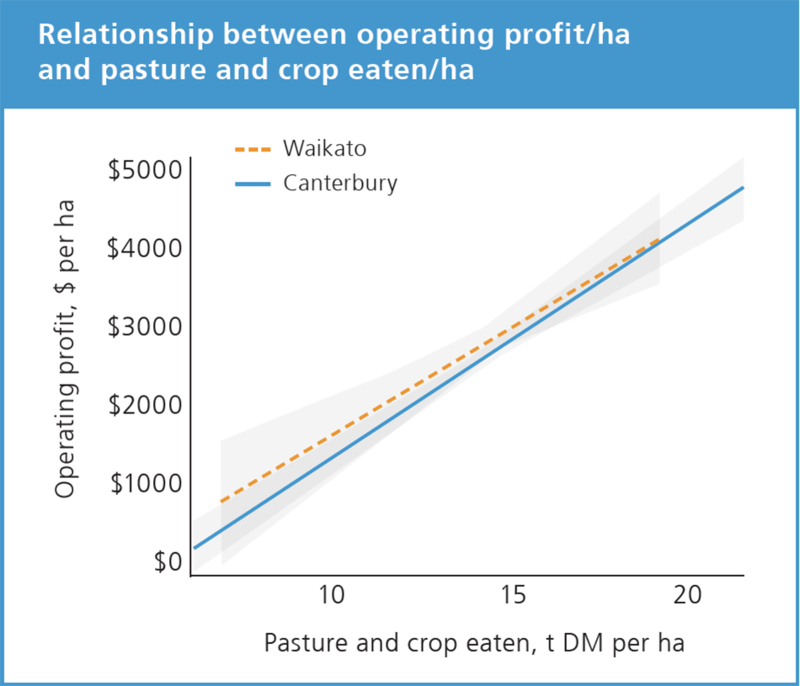 The graph shown on this page indicates a strong correlation between operating profit/hectare (/ha) and pasture and crop eaten/ha. The slope of the line indicates there’s an extra $300 profit for each extra tonne of pasture and crop eaten. Low cost/kg MS doesn’t necessarily mean low levels of supplements. Some farmers have very profitable high-supplement systems. However, multi-year analysis by DairyNZ’s Mark Neal, and Massey University analysis, showed that increased supplement use over the last 12 years hasn’t led to higher returns; on average, at best, some farmers have just broken even. That’s because, for every $1.00 spent on supplements, an extra $0.50 to $0.60 has been spent on other related costs, such as extra labour, feeding systems and machinery. Achieving a $4.11 cost structure when you’re currently closer to $5.00 can be achieved over time. It's a good idea though to first analyse your business thoroughly. Using DairyBase and getting advice from accountants and farm advisers can also help. Aiming for a pasture-based, low-supplement system (90 percent grazing) and maximising pasture utilisation is another useful approach. It’s easier to maintain a lower cost structure. It’s also more in line with the New Zealand story of superb milk from grazed pasture. An operating expenses ‘stretch target’ creates extra profit to manage volatility. Increased grazed pasture is a key factor in dropping costs/kg MS. Better pasture utilisation reduces reliance on supplements and avoids the costs of intensification.